The two boys appeared in my peripheral vision as I sat the family’s dining room table, suddenly visible through the sliding glass door leading out onto the back deck. I watched as the older brother carried the younger one up the hill, slung over his shoulder like a sack of potatoes with his backpack hanging down to the side. It was so unexpectedly comical that I laughed out loud. Their mother, sitting next to me at the table, smiled proudly and chuckled as well. These farm boys, muscles strong from daily chores, walked through the maze of chickens greeting them in the yard, up the deck stairs and through the sliding door to greet me with manners that you don’t often see these days. As I got a hug from the youngest and a handshake from the oldest, one thing was abundantly clear: their parents were doing a great job raising these two young men. These days, however, Sean and Alejandra Finn are doing much more than raising their two sons Nicholas (10) and Matthew (8). Three years ago, the Finn family packed up their belongings and moved from the South side of Chicago to a farmhouse in Buchanan. They traded a suburban neighborhood for 14 acres of land and replaced the convenience of city life with a dirt road and a pasture full of cows. They took a chance on a new way of life and, by all accounts, it was a pretty good bet. During my recent visit to Finn’s Steak and Eggs Ranch, I learned that sometimes the best things in life aren’t exactly planned. As Sean gave me a walking tour of the grounds, he explained the origin of the newly formed ranch. In 2012, Sean was relocated by his employer of 22 years, Kennicott Brothers (a floral distribution company), from the Chicago area to an office in South Bend. In planning for the big move, the couple looked at homes in the Granger area but couldn’t find anything that seemed like a good fit. One Sunday afternoon they took a drive around southwestern Michigan to get a feel for the area and turned down a little dirt road on the West side of Buchanan. They noticed a charming farmhouse on a hill with a sale sign in the yard. On a whim, they called the agent listed on the sign for more information and she arrived within minutes to let them inside. According to Alejandra, they fell in love with the home and the surrounding land instantly. And so it began–their transition from the city to the country. Little did they know, however, that the decision to turn down that dirt road would change more than just their mailing address. As Sean tells it, the big move started out innocently enough. He continued to work in the floral business and Alejandra, employed in the same industry, was able to work from home a few days a week and commute to Chicago the rest. With plenty of land surrounding their farmhouse, Sean decided to put in a small pasture and purchased three cows for the sole purpose of raising them to feed his own family. Soon friends and other family members back in Chicago began placing orders, and, as demand grew, he realized there was quite a market for locally raised beef. To fill the increasing orders, Sean purchased a few more cows and added a couple chickens to the mix – delivering farm fresh eggs hand washed by Alejandra at their kitchen sink. Because many of their customers were from the Chicago area and didn’t have enough freezer space to store half or a quarter of a cow, Sean searched for a butcher who would package the meat into smaller orders. In addition, the butcher had to be USDA certified because legally the product couldn’t cross the state line without being processed in a USDA facility. I found out about the Buchanan based ranch on Facebook while researching sources for locally grown beef and pork. Multiple friends recommended their products and I was directed to their website (finnsranch.com) where I was impressed by the variety of products they offer and drawn in by the pictures of the boys feeding the animals. I signed up for the weekly newsletter to receive emails about special offers and updates from the ranch blog. When I asked Sean about how he started to get the word out about his growing business, it turns out early advertising for the ranch was just as grassroots as the farm itself. In the beginning, they printed fliers and gave them to friends to share. In their first year of selling farm fresh products, they even traveled back home to the South side for the annual Irish Parade where they walked the route and passed out information. They also went to local gyms and fitness centers to promote their homegrown products to the health conscious. Sean was still working full time at his day job, so he was able to slowly build it up during the night or the weekends. All the while, the couple kept buying more chickens and cows (and added pigs as well) and began researching the best types of feeds for the animals. 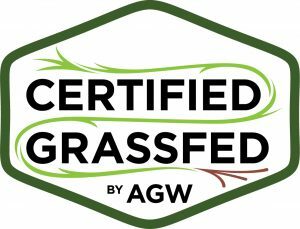 Two years ago they transitioned from conventional feed to non-GMO feed for the chickens and switched to 100% grass feeding for the cows, another selling point for their product and an advantage over their competitors. Before long it became apparent that the family would have to decide whether or not to make the ranch more than just a side job. In the winter of 2014, Sean became disillusioned with changes pushed by his employer, and the couple decided to jump into the farm business with both feet. Sean retired from the floral business in January of 2015, right before the busy Valentine’s season, and officially became a full-time farmer. To provide for their family after this momentous career change, they started investigating farmer’s markets in Chicago to sell their products during the spring and summer months. Today, the markets provide the biggest source of income for Finn’s Farm and they participate in six to seven markets per week. They also started a winter delivery program to sell their product during the cold months. On Wednesdays, Sean loads up his delivery truck with beef, pork, and eggs and drives into Chicago to drop off the orders to 20 locations where it will be purchased and picked up by his customers. To add to their growing list of products, they purchase turkeys to sell in the fall, ducks for their eggs, and contract with a farmer in LaGrange who raises dairy to sell pet milk. They also purchase certified organic vegetables from a local farmer in Three Oaks to offer their customers. Many of their products (vegetables, eggs, and meat) are purchased using a program called Consumer Supported Agriculture. The idea behind a CSA is that customers place a standing order for farm products and pay ahead, helping the farmer buy seed and feed and pay for all of the front-end costs that go into producing the product. ​The Finns have also started the process to become a certified organic farm; a procedure that involves a lengthy application and site visits by state officials. To have a certified organic pasture, the land must be chemical free for three years. Of the 14 acres of land they own, six of the acres are currently used as pasture and they are continually taking down more timber to create more pasture. They also lease additional land from Buchanan residents to raise the beef to meet growing demand. There are 17 heads of cattle currently in their home pasture, another three in neighboring pastures, and 12 in Indiana, for a grand total of 32 cows. Sean’s goal is to eventually have his own breeding stock of 30 cows producing 30 calves. With help from his boys and his neighbor, Ron, they move the cattle from one side of the pasture to the other whenever the grass supply gets low. Finn’s Ranch is certainly a busy place, and his two young sons complete many of the daily chores. Nicholas and Matthew are in charge of feeding and taking care of the chickens, ducks, and pigs and they are responsible for feeding the cows hay during the wintertime. They wake up early in the morning to start their routine and it continues after they get home from school every afternoon. To provide some context to the scope of this job, the Finns will have 600 chickens laying eggs this summer. In addition, they will purchase 100 additional meat birds from a hatchery in Holland every four weeks and raise them for the eight-week time period of time it takes to have them ready for the butcher. Sean will tell you that he never intended to quit his day job and become a farmer, that it was a natural progression that just sort of “happened.” In fact, he knew very little about farming when he decided to buy that first cow. The ranch is a prime example of “learning by doing” and he credits many fellow farmers and friends he’s met along the way, either at the co-op or local farm supply stores, for helping him figure it all out. He grew up in the city, but made frequent trips to visit his grandparents in northern Wisconsin where he spent a lot of time playing outside and fell in love with the great outdoors. As a teenager, he picked up hunting as a hobby and joined his brother on hunting trips to central Illinois to visit college friends who lived and farmed in the area. The love for the outdoors is what drew him to Coveney road in Buchanan; in this land he spotted the opportunity to spend his days in the wide-open spaces of the countryside. He laughed as he remembered that when they bought the house, he thought he would, “maybe buy a couple of chickens and a cow or two.” That simple plan has grown into a fully functioning farm with plans for expansion, and the city boy from the South Side of Chicago now spends his days moving cattle and repairing fences—and he wouldn’t trade it for the world. Our tour ended with a visit to the turkey pen, and I returned to the dining room table to chat with Alejandra. Her warm and engaging nature extended my planned trip from one hour to two as I found myself completely enthralled by their transformational story. The couple met as professionals in the flower business where she used to sell him carnations. Originally from Colombia, Alejandra moved to the United States with Sean to start their family and says she can live anywhere. She enjoys the simple pleasures of their new farm life, especially when she can take the time to sip her morning coffee on the back deck and gaze over the green fields that have become her home. Alejandra continues her career as a Buyer for the floral department of a mass-market grocery store company based in Chicago. It’s all about teamwork on the farm, and the Finns have organized their busy schedule to make sure someone is always at home when the boys get off of the bus. The Finn Family’s passion for this new lifestyle is evident in every aspect of the ranch. The free-range chickens happily roam over the rolling hills, their vibrant feathers adding a touch of color to the otherwise green landscape. Their clucks combine with the crow of the rooster and the quacks of the ducks to provide a continuous barnyard symphony. The fence lines that run the length of the property are well maintained and the cows they house are bright-eyed and muscular. It is clearly a labor of love and a sight to behold. When asked what he enjoys the most about trading in his business suits for flannel shirts, Sean responded that he loves the daily work involved in maintaining the farm and getting to spend his workdays in the fresh air. I can’t say I blame him. Judging by the view from their back deck, it’s hard to imagine how the concrete jungle could ever compare with the tree lined paradise of Coveney Road. Stacey is a wife, realtor, and mother of three. After working and traveling in other areas around the world, she and her husband returned to their hometown in Michigan to raise their children and enjoy the slower pace that small town life provides. She spends her days folding laundry, selling houses, and wiping snotty noses with her shirtsleeves.